It’s hard to get people’s attention these days. We are bombarded with information, especially the moment we get online. So, it’s hard even to get people to pay attention long enough to realize that they (you?) can save tens of thousands of dollars by going solar. But what is one thing we are all pretty attentive to? Free flights to Hawaii! Indeed, the average middle-class family who goes solar through a solar leasing contract saves about $600 a year. 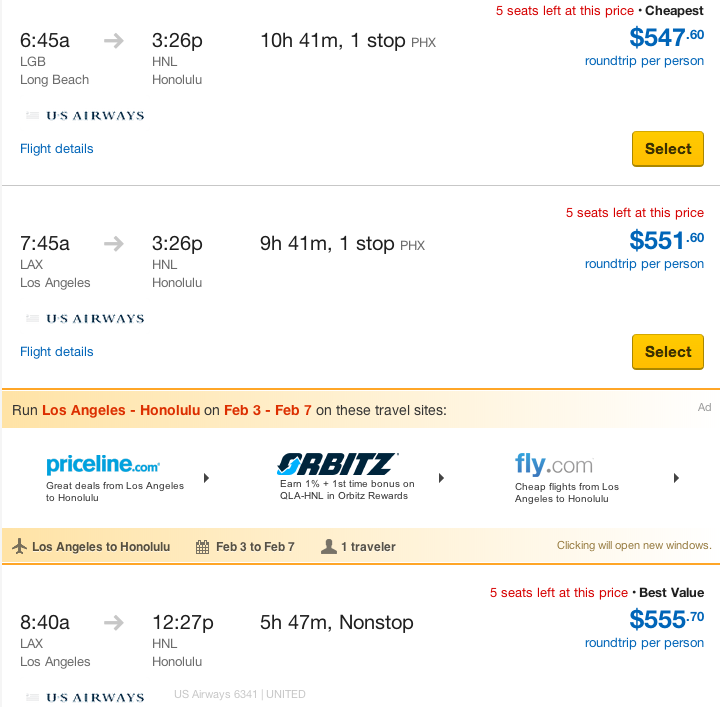 That can land you a flight from Los Angeles to Hawaii! Many people can actually save much more. Tens of thousands of dollars in 20-year solar power savings is the norm in a lot of states. There’s a reason why solar power is growing exponentially in the US. There’s a reason a solar panel system now goes up every 4 minutes somewhere in the country. If you weren’t caught by the headlines about the straight cash savings that are available (on average) from going solar, hopefully this one caught your eye and you’re ready to add some serious tax-free cash to your bank account… and perhaps even take a flight to Hawaii with a small portion of it. To check out how much you might be able to save, and to get connected with a local solar installer, click here.